How is it possible to write about this subject without sounding like a character from the movie "Team America" or being perceived like a socialist? Not that there anything wrong with that of course. The corporations are apparently a big concern among cycling fans. This morning I saw a debate on twitter by some journos and commentators and I felt the need to throw myself in that discussion too. I think the debate is needed and it is indeed appropriate due to last Sunday's Paris-Roubaix. I have never seen so many discussing whether Vaughters and Hushovd did their job or not by not giving Cancellara a helping hand up to the lead break. I have said mine about that episode, and I am still divided about what I mean about it. A battle of emotions vs rationality if you like. And there are rules too, the powerful unwritten ones, I have to add. Hushovd had one chance, when the lead break still was one break and Hushovd/Cancellara/Ballan was only 25 seconds down. But then again, I wasn't there, I don't know what Hushovd thought and now all that's left is speculations and history. I guess I hadn't said mine after all... well, enough with that. There are perspectives of course, and that is important to have in mind. Very little point in discussing if the parties discuss views from different perspectives. You are certain not to reach an agreement, a discussion can be entertaining based on different perspectives, by all means. That got your attention, no? I have written before that cycling is a team sport, no doubt about that. But is it possible that we have different perspectives here as well? On one hand we all have the notion that cycling is a romantic sport where the riders battle man versus man, where the strongest survives by attacking the other up the Gavia - the fans' perspective. Another perspective is the sponsor's: "Hey, here I paid millions of dollars and I want a return on that investment! Don't mess this one up!" In addition to this you have the riders' perspective, their dreams and goals. What about media's perspective, they who has the power to decide the agenda afterward? Which perspective shall be given the proper attention by whom? What perspective did Vaughters choose on Sunday? A team manager has to win. It is not necessarily so that the team manager have special feelings for who shall stand on the very top of that podium. A win is a win. And from a team's as well as a sponsor's perspective, it is much better to have a winner in a race than a 3rd place. My point is that success mean different things to different people. And when sports are taken to a high enough level, the money rules. Where is the cash return? How is it possible most cycling teams are not able to earn cash? Not many team managers have a business background and that could be a disadvantage when the negotiations begin. 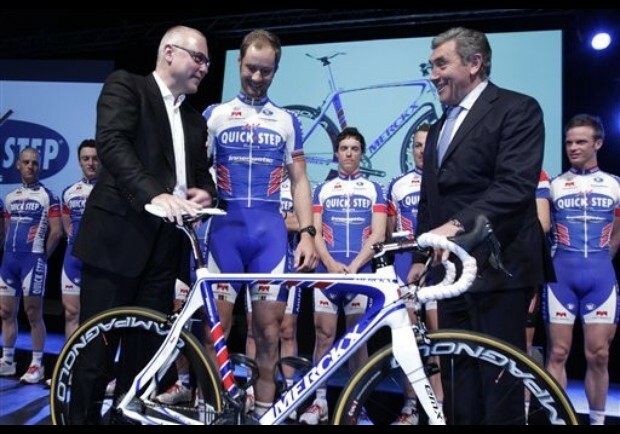 Is it just me or have the number of wealthy businessmen investing in cycling increased the recent years? Is this because they don't have much to do or do they see a potential others don't? Flavio Becca, James Murdoch, Zdenek Bakala et al, are investors who want some return of their investment. What could that be? TV-time from a breakaway or a podium at Scheldeprijs? No, I don't think so. It could be that by controlling the team's legal aspect, one could control more than others, for instance like where and what sponsors to include where on jerseys, cars etc. But cycling will likely end up like football (soccer for you American readers..), some rich investor want something to own and to make sure he gets something back, he will exploit every opportunity, turn every rock, to get some return on his/her investment. Part of that is to control risks. Can I take it with me after the show? 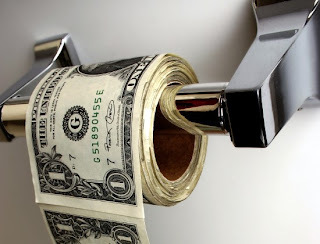 The downfall is that in the world of business, sometimes you don't get what you've paid for. Risk is you loose it all. Who will abandon ship first? That knows the businessman and the team manager. And besides, we saw what happened in December with Oz project Pegasus. I think it is about time team managers and owners meet corporate rules with the exactly the same - corporate rules. Make demands, read carefully long-time business plans, take control as much as possible. With the brain as well as the heart. Many managers are ex-riders, nothing wrong with that, as long as they stick to being managers, all the way. Cycling is indeed a team sport. As long as you refer to the executive part of it, from a team perspective. Those romantic days of individualistic heroics are not gone, but it's likely that they will occur more rare. Because corporate ideas are here now, and they have another dictionary of what "team" mean. At least to what purpose it is for. And as you all know, there is no "I" in team, is it?